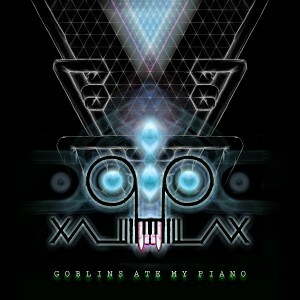 Goblins Ate My Piano is the debut album from Phillax, the eclectic solo project and mischievous alter-ego of Phil Austerberry, London-based producer, pianist, and DJ. This album is a journey across various styles from trance through to downbeat electronica, where a bittersweet mixture of rich melody and euphoric atmospheres is blended with a haunted, driving, and psychedelic feel. Mastered by Colin Bennun @ The Stooodio, U.K., with artwork by Bethan McFadden. MP3 Download | FLAC Download | WAV Download · Download count: 7,053. Liberace takes a new direction . . nice sounds . . Together with Remerged and Dre4mland the best releases so far this year. Having a blast listening to this. It´s diverse as well, making it a tad more interesting. Absolutely top notch, and unique, totally pushing the boundary of electronic music…. The world needs more quality glitch/psychedelic/classical fusion goodness! Jeez, this is not my pair of shoes, but I can appreciate 7 tracks out of 10. I’m not into cinematic / dramatic orchestrally augmented takes on psytrance, typically, but I have to say this album is extremely deep, detailed, well made, and tells a story. Fantastic. Awesome album! Also I’m curious if the title is an homage to the old Super Skunk track, Gremlins Munched My Keyboard?